Is Jollibee party heavy on the budget? How much money should I save for the food package? These are some of the questions that you might be asking as you plan your child’s Jollibee party. So to help clarify some of your questions, here are Jollibee Party price for 2015. A fee of 1,250 pesos is automatically added to the cost of any Jollibee party. The party fee pays for the use of the venue and these Jollibee party favors: appearance of Jollibee mascot, 20 game prizes, 10 boxes of crayons, 30 balloons, and 1 message board. Of course, you can add more items but it will cost you more. Each additional item has its own price. 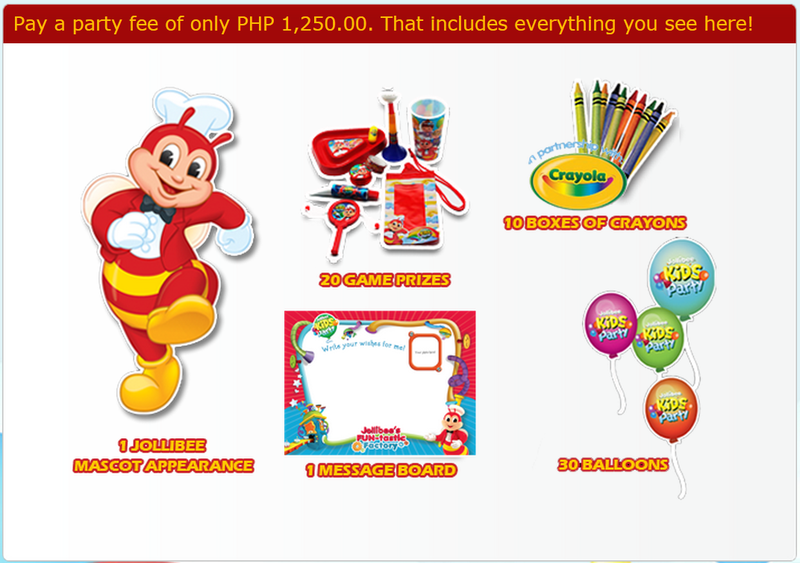 Check it out in the Jollibee Party website. Jollibee party food package A.
Jollibee party food package B.
Jollibee party food package C.
Jollibee party food package D.
There is also a “Create Your Own Package” but I didn’t include that in this post. You can check it out in the Jollibee party website. Your child’s party will never be complete if there is no cake. So, Jollibee also offers cake for it party packages. 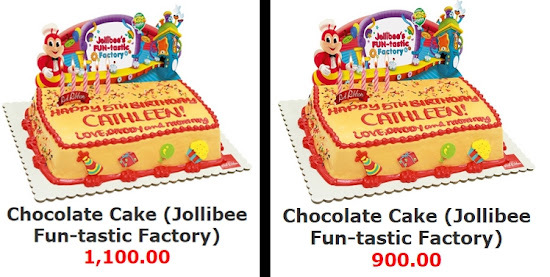 One medium-size costs 900 pesos while the large-size cake costs 1,100 pesos. Summing up the party fee, food package fee, and the cake the Jollibee Party price for 2015 for 30 persons would range from 6,470 pesos to 8,920 pesos. Images inn this post was obtained from the Jollibee party website.